Some of the main things you need to consider when choosing what flooring to use in your home include the use of the room, what comfort level is needed, how durable it needs to be and what is your budget. The first question to ask when considering flooring is what the room will be used for – and who will use it! If the room is primarily for adults, then you can safely assume that there will not be too much spillage of food and drink on the floor! You also need to consider what type of furniture will be in the room and what will be the traffic patterns when people walk through the room. There are different things to consider when making the choice of what flooring to put in what room. If only adults live in the house, then they are looking for walking comfort. If children live in the house, they are looking for crawling comfort! 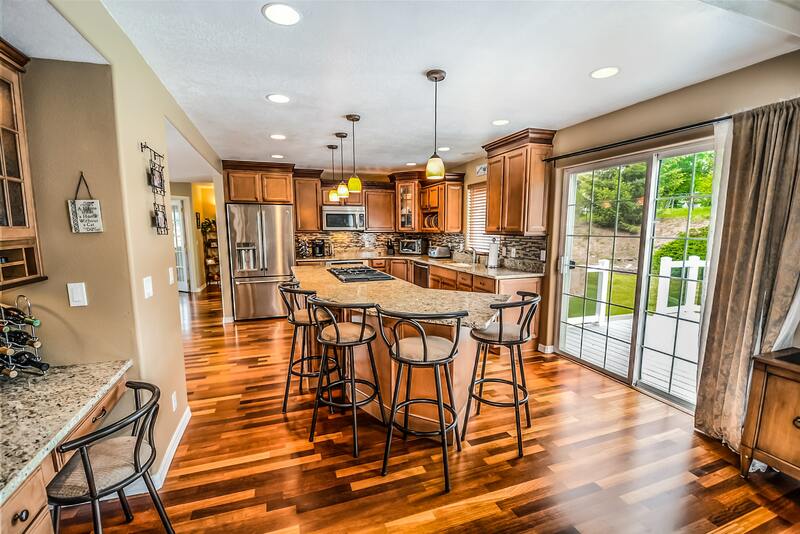 And, of course, if you are the chef of the house you are going to want to have more than a little input into what flooring goes down in the kitchen. Ease of cleaning, comfort level when standing in front of the stove are also considerations when looking at kitchen flooring. The final thing to consider when looking at flooring is the impact on your budget. Decide what the total amount you can comfortably spend, look at comfort and durability. This should give you a few options to then choose from – and it is important to balance all three. There is no point in putting in a very cheap flooring that has no durability and you end up replacing it a year or two later! Here at Sparkle Floors and Carpet we specialize in helping you identify the exact type of flooring that will be best for you and your family. We look forward to seeing you at our showroom in Scotch Plains. Stop by anytime or call us for a no-obligation quote on 908-464-2653. A New Take on an Old Subject – Vinyl! Do you remember the old days when vinyl flooring meant cheap looking rolled goods or squares? This was the ‘default’ floor when the budget was tight and a home owner couldn’t afford a more expensive (and good looking!) floor. Today, however, things have changed radically in the world of vinyl! With the advent of technology, vinyl can now look like just about any other type of flooring – and it is still budget conscious! Vinyl planking that looks like wood can now be put down in areas where there is danger of dampness. If wood is put down in such places there is danger of warping and cracking caused by moisture – that danger does away with the vinyl planks. A wide variety of colors, textures and widths means that many different types of ‘looks’ can be achieved. Come into our showroom at 451 Park Ave in Scotch Plains and check out all the different types of vinyl flooring, from simulated wood to simulated porcelain tile. Everything old is new again and vinyl is at the top of the list! 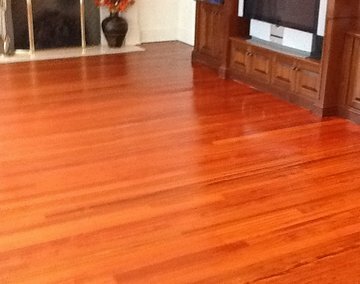 Refinished Floors can Surprise you! Renovating your home is always full of surprises. One of the more pleasant ones is when you rip up old carpet and discover natural hardwood underneath! This is a surprise that Sparkle Floors can help you with! We usually advise you to continue on with the renovation, get all of the major work done and then book one of our crews to come and put the crowning touch on the room by refinishing the floor. We take great satisfaction in taking an old hardwood floor and refinishing it to a glorious shine that transforms the entire room. So, do you want your floors to sparkle? Then give us a call! Hard wood flooring has really been making a comeback in recent years. In some old houses it is possible to pull back the old carpet and reveal original hardwood that can be refinished. There is also the possibility of using refurbished hardwood that has been salvaged from a demolition. However, there are many other options to consider before making the final decision. Board width has a major impact on how a floor looks, and ultimately how a room feels. Narrow strips (less than 3 inches) usually make a room feel long and narrow. Wider planks can give a room more rustic look and feel. Parquet floors, with smaller pieces of wood placed in a design give a room a distinctive geometric design and suit more formal rooms. Hardwood species can vary in terms of durability grain patters and color. Oak, maple and cherry are among the most common species because of their hardness. There are also exotic woods like mahogany and Brazilian cherry that are used for their striking appearance, but they do not have the durability of the hardwoods. 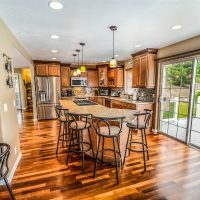 The natural color of hardwoods can be very intense, and can be brought out even more with different types of clear finishes or even stain. The natural colors run from the light blond of oak to the dark mahogany of a deep cherry. Many manufactures offer distressed and hand-scrapped hardwoods that give an antique and timeworn character to your floors while also giving the consumer a way to disguise heavy use over the years. At Sparkle Floor and Carpet we specialize in helping you decide between all the choices available to come up with the ultimate floor for your home. There are many types, styles and colors of carpet – the choices can be confusing and quite frankly, a little overwhelming! However, at Sparkle we specialize in walking you through the maze of possibilities and help you find just the right carpet for just the right room. First, we talk to you about what will be the use of the room, how high the foot traffic will be, is it a room shared by the whole family or is it a room for a specific person. Once we have defined the use of the room, we can then ‘steer’ you in the direction of the best type of carpet for the area – a lower pile carpet for high traffic or perhaps a higher pile one for a room with less traffic such as a bedroom. Once we have identified a type of carpet, we can then show you samples to get your reaction to the look and feel of different materials and colors. Once these items are identified we can then look at pricing and budgets, finding just the right type, style and grade to fit your budget as well as your room design. Simply come into our new showroom at 451 Park Ave in Scotch Plains and let us lead you to the prefect selection of carpet for you! What Should you put on Your Floor? If you are in an older home that has hardwood floors, in most cases the best choice is to simply refinish the wood floor. It gives a great result and is often the most budget conscious decision to make. However, if the floor is damaged, or the use of the room does not lend itself to having bare wood, it might be time to consider other options. Vinyl flooring has come a long way since the 1950’s when what color 12 inch tile was really the only choice you had to make! Companies like Armstrong are now coming out with vinyl planking that looks like wood, vinyl tile that looks like ceramic or porcelain tile, and a whole host of different size tiles and rolled goods that give many different choices of color and texture. And, of course, there is always carpet. If the room is one where small children will be playing or you want a more sophisticated feel, carpet can be the answer. Different textures and colors give you many choices, ranging from deep, plush carpet to more commercial grade that is short and easy to clean. Are you confused about what you should be putting on your floors? Than please come and visit our showroom at 451 Park Ave in Scotch Plains, NJ. We will be happy to answer any of your questions and show you samples of all types of flooring! 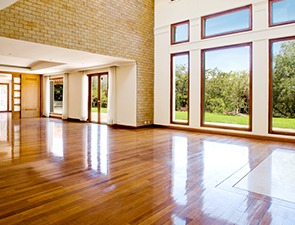 Refinish your Wood Floors and Have them Just Like New! Nothing updates a room more quickly that having the wood floors refinished! Everything looks clean and just like new and it even smells good! 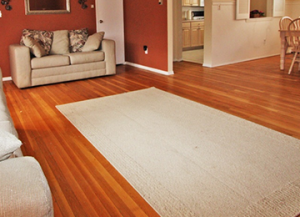 Sparkle Floors and Carpet specializes in refinishing wood floors. With over 17 years experience, our crews know exactly what to do to refinish your floor in a timely manner and leave everything looking clean and sparkling. Our dustless technology means that we won’t overwhelm you with dust. We carefully take everything out of the room, sand the floors, clean and then we refinish the wood to a beautiful shine. Please call us for an estimate – you will be pleasantly surprised! July ‘Grand Opening’ Specials at Sparkle! For the entire month of July, Sparkle Floors and Carpet will be offering specials in honor of our Grand Opening. Please come in to our store at 451 Park Avenue in Scotch Plains and check out the discounts on a variety of flooring, from hardwood to carpet. 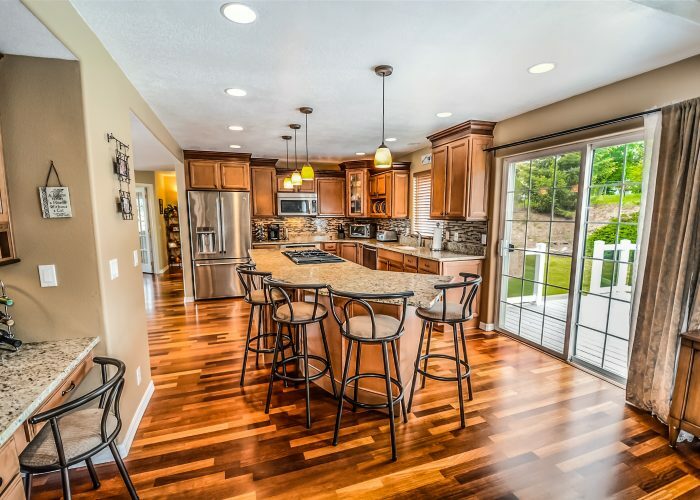 We can help you determine what type of flooring is best for your home and present all of the options and price points, so that you have enough information to make an informed decision. We look forward to talking with you when you visit the store. Bamboo flooring has become very popular in recent years. For the consumers concerned about the environment it is a natural choice, as bamboo grows more quickly than hardwood, taking less resources to get it to maturity and it continues to grow again once it is harvested. Bamboo flooring can be used in most places in the home, except in wet areas such as bathrooms and kitchens. Cork is also an environmentally conscious choice, as it is made from the bark of the cork tree. It is a naturally resilient product that withstand impact and creates a warm, insulated feel to the room. When a more rustic feel is needed in a room, many consumers pick wide plank flooring to create the more casual look. However, as manufacturers are harvesting trees younger and younger, fewer options are available in wide plank. More and more consumers are attracted to the richness of dark hardwood flooring. The dark wood is a great counterpoint to lighter furniture. The only caution is that is does show dust more than a lighter floor. Welcome to the new era of Vinyl! This type of flooring has moved from being a low cost default choice for the budget conscious to being the first choice for high traffic and family areas. Thanks to the wonders of modern technology, vinyl now can look like wood, ceramic, porcelain – almost any type of surface!